Jason Forck was raised on a small farm in Kansas, in 2005 he received his BFA with an emphasis in glass and painting from Emporia State University. 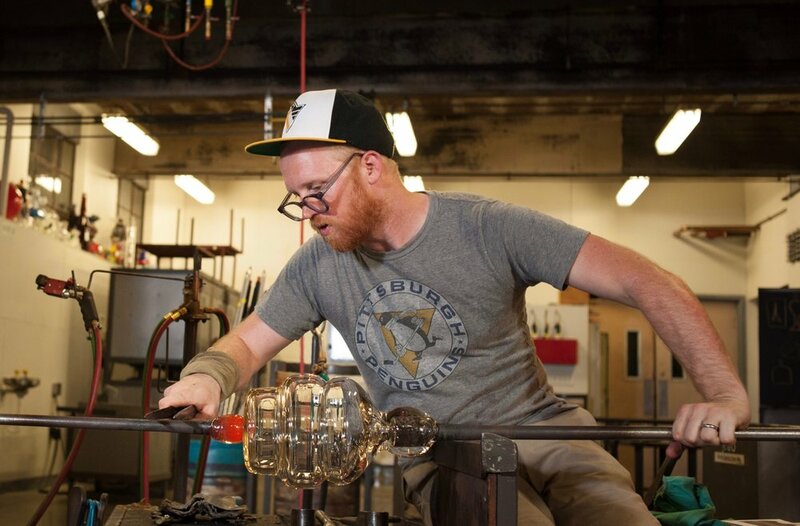 Upon graduating Jason moved to Pittsburgh, PA to pursue an opportunity at Pittsburgh Glass Center where he continues making and designing glass and working as Creative Projects and Education Manager. Jason has exhibited in Pittsburgh, PA, Kansas City, Columbus, OH, NYC, NY, Chicago, IL, Chataqua, NY, Louisville, KY, Muskegon, MI and Seattle, WA amongst other locations. He has been an artist in residence at Ohio State University, University of Wisconsin Stephens Point, Jacksonville University and Emporia State University.